LDSF Canada » Did you know? Did you know? 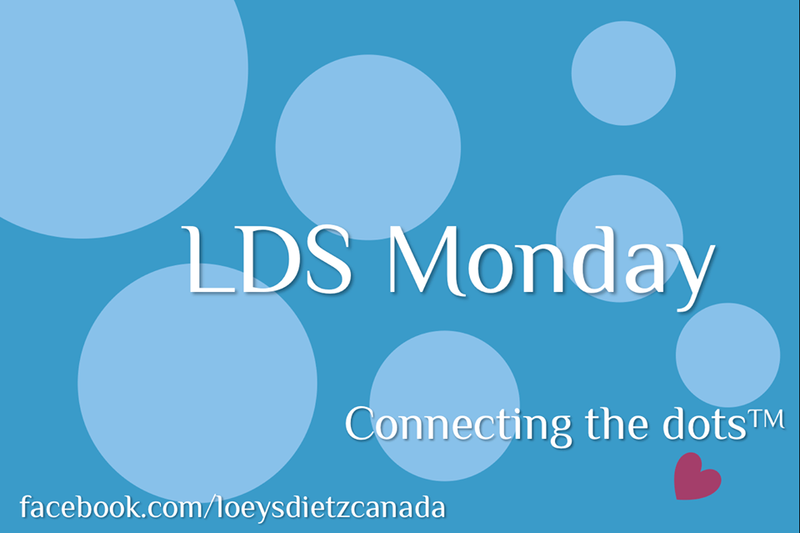 Check out an archive of our weekly LDS Monday Facebook posts. Life expectancy in Loeys-Dietz patients was once estimated to be 26 years old. Nowadays, with an early, correct diagnosis, and proper care, Loeys-Dietz patients can lead a long, full life, comparable to that of non-LDS individuals. Chest deformities can be quite common in connective tissue disorders such as Loeys-Dietz syndrome. The two most common are Pectus carinatum, where the chest wall protrudes (convex), and Pectus excavatum, where the chest wall sinks in (concave). For this medical exam, a medical imaging technologist places a small probe, similar to a microphone, on the patient's thorax. This device produces ultrasounds, which help to assess the function of the heart, its cavities, and its valves, as well as of the pericardium (the envelope around the heart). This exam is not painful, lasts no longer than an hour, and does not require any preparations. It is recommended that Loeys-Dietz patients undergo an transthoracic echocardiography at a frequency determined by their medical team. There is a much higher incidence of allergies and gastrointestinal issues in Loeys-Dietz patients than in the general population. It is common for Loeys-Dietz patients to suffer from scoliosis or kyphosis. In both cases, the unusual curvature of the spine can be easily diagnosed with a physical exam or Xray. I.N.R. ("International Normalised Ratio") is a unit used to measure the clotting speed of blood. It can help determine the thickness of blood in patients using blood thinners, such as Warfarin (also known by brand names such as Coumadin). Patients who have had metallic aortic replacements such as mechanical valves are often prescribed blood thinners to ensure blood circulates properly and to prevent clots. An aneurysm is defined as the widening or dilation of an artery. Loeys-Dietz patients have a higher risk of developing aneurysms, particularly in the aorta, than the general population. Loeys-Dietz syndrome is caused by a mutation in one of the following genes: TGFβR1, TGFβR2, SMAD3, and TGFβ2. Ongoing research is being done to determine a fifth gene. Bradycardia refers to an abnormally slow heart rate, while Tachycardia refers to an abnormally fast heart rate. In the latter case, the issue may stem from the electric system of the heart's atria (Supraventricular tachycardia) or from the electric system of the heart's ventricles (Ventricular tachycardia). Loeys-Dietz syndrome manifests itself in a number of ways; therefore, no two persons with LDS will have identical medical characteristics. If a gene mutation (for example, one associated with Loeys-Dietz syndrome) is found in a child, it is typically recommended to test the parents for the same mutation. This is to determine the risk of the mutation's recurrence. Testing of offspring of an adult diagnosed with LDS is always recommended. Many individuals are the first in their family to have the mutation causing LDS. These cases are caused by sporadic (random) mutations that occur during conception. There is no parental cause (medication or alcohol use, for example) for the random mutation occurring. It is no one's fault. A fifth gene has been discovered for Loeys-Dietz syndrome: Type 5 Loeys-Dietz syndrome is caused by a mutation in the Transforming Growth Factor-ß 3 ligand (TGFß3) gene. Exercise restrictions are typically put in place to assist in slowing the rate of aortic and arterial aneurysm growth. It is important to discuss these restrictions with your physician. As another school year begins, it is important for Loeys-Dietz families to discuss students' needs with school representatives. Many schools already have accommodation programs in place - it's sometimes as simple as asking. Pressure on the aorta (the largest artery leaving the heart) and other arteries can be controlled by the administration of medications that work to lessen the strain on the body’s major arteries by reducing heart rate and blood pressure. Loeys-Dietz patients are at increased risk of cervical spine instability, which can cause issues with intubation procedures (during surgery, for example). X-rays of the cervical spine in the flexion and extension positions are recommended to assess for vertebral anomalies and/or instability. In rare cases, surgery for cervical spine fusion may be required. For anyone who has the diagnosis of Loeys-Dietz syndrome and who is of reproductive age, it is recommended that they review the recurrence risk information with a genetics professional. There are testing options performed during pregnancy (prenatal diagnosis) and through in-vitro techniques (pre-implantation genetic diagnosis) to determine the presence of LDS in the fetus. It is expected that the outlook for individuals with Loeys-Dietz syndrome will continue to improve as more is learned about the disorder. We remain optimistic and enthusiastic about the development of effective therapies for LDS. Making a correct diagnosis is complicated. People with Loeys-Dietz-like features need to see a doctor who knows about LDS to determine if they have the disorder. It is very important that people with LDS receive an early and correct diagnosis so they can receive the right treatment. In families with more than one member having the same gene mutation responsible for Loeys-Dietz syndrome, we see a variety of physical symptoms and vascular involvement. Many individuals with Loeys-Dietz syndrome can benefit from planned vascular surgery. These are often performed to surgically fix aneurysms before they can cause life-threatening dissections (tears) in blood vessels. Did you know? The aorta, the biggest blood vessel in the human body, is shaped like a candy cane! Blood travels through it from the heart to the entire body. Continued monitoring of the aorta through annual echocardiograms is necessary for Loeys-Dietz patients. A baseline CTA or MRA of the head, neck, chest, abdomen and pelvis should also be performed to detect and monitor aneurysm formation and/or dissections (tears). Check out our posts over the coming weeks to find out more about these exams. A Computerized Axial Tomography (CT or CTA) is a type of X-Ray imaging with or without contrast dye to examine internal organs, bone, soft tissue and blood vessels. CT exams may be used to detect aneurysms/dilatations or dissections/tears of arteries. When an individual has a condition such as Loeys-Dietz, it can be normal for he or she to feel overwhelmed by it all, and the same goes for the individual's friends and family. This is true upon diagnosis, but it is equally true at any stage of the Loeys-Dietz journey. It is important to talk about these concerns with someone the individual feels comfortable with, or even with a mental health professional. Receiving a diagnosis of a condition such as Loeys-Dietz syndrome can, and the ensuing reality, can be a cause for stress. It is important to find an activity to help deal with this stress: reading, drawing, writing, walking, biking, swimming, spending time with friends, blogging, scrapbooking, playing an instrument (or singing! ), watching documentaries, watching Netflix, knitting, crocheting, gardening, photography, spending time with grandchildren, sailing... The possibilities are endless! What counts is finding an appropriate activity.